The aim of this website is to provide information about the Northampton & Lamport Railway, a standard gauge heritage railway in Northamptonshire, England. The domain vintagetransport.org.uk and the site hosting is provided by Inspiratech 2000 Ltd. Unless otherwise specified, no part of this website has been endorsed, sponsored, or promoted by either Northampton Steam Railway Limited or the Northampton & Lamport Railway Preservation Society. All opinions expressed herein are those of the Webmaster, who may be contacted at the following e-mail address: . 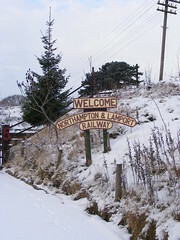 The Railway has an official website and persons wishing to view it may do so at http://www.nlr.org.uk. As of 18th January 2010 the site's HTML does not Validate, and still uses depracated markup such as <font> tags, and the non-standard <marquee> tag. Be warned — the site contains gratuitous use of Comic Sans. The Webmaster of this site is a member of Northampton & Lamport Railway Preservation Society and a Shareholder of Northampton Steam Railway Ltd. and is using this website as an additional resource to promote the development of the Railway. The former "Vintage Transport Group"
As of 2010, the Classic and Sports Car Show is not running, the Vintage Transport Weekend has been changed to the Vintage Gathering with a new organiser, and the 1940s Weekend has now evolved into the Railway at War with its own organising committee. With no separate events to promote, the domain and website would otherwise be out of date or empty. It was decided to use the site to promote all activities at the Railway.